The Romanian painter’s prices have increased 160-fold over the past decade. But who, or what, is behind this steep rise? 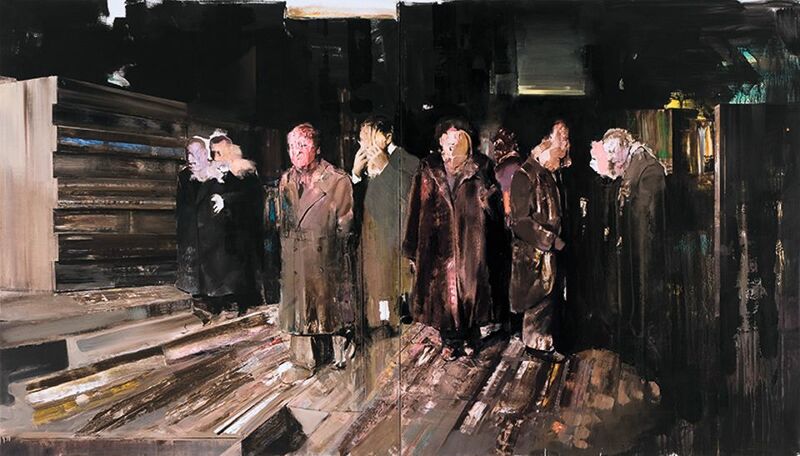 The story of the contemporary painter Adrian Ghenie’s rise from art student in Cluj, Romania, to darling of international curators and auction houses over the course of barely a dozen years is not unprecedented: the art world loves to anoint young talent. It also likes to discard it, but Ghenie, with prodigious skill and the help of many hands along the way, has emerged as a more durable star, one whose work is now, for better or worse, seen as a desirable asset. 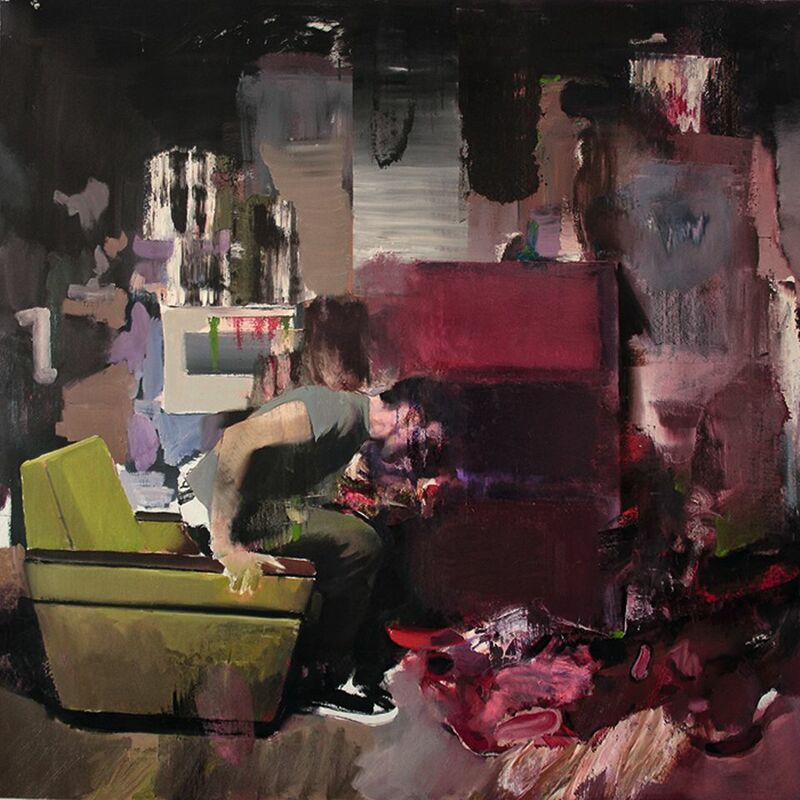 Ghenie, born in 1977 in Baia Mare, grapples with haunting and historical subjects. His alternately lush and vigorous style has earned him comparisons to Francis Bacon, although Ghenie says: “Despite people[‘s] belief Bacon was never a direct source of inspiration for me....At this point in my career, I do what I always did—I steal from everybody”. Meanwhile, his critical and commercial ascent has been speedy enough to attract attention, without tipping into overexposure. Neal’s 2006 group exhibition Cluj Connection—organised at the now-closed Haunch of Venison gallery in Zurich and centred on young painters from the city—was Ghenie’s stepping stone to a solo show, Shadow of a Daydream, at the gallery the following year. He racked up gallery exhibitions in short order, including a solo at the Tim Van Laere Gallery in Antwerp in 2008 and his first London outing, Darkness for an Hour, at Haunch of Venison in 2009. It was from this show that Christie’s (and Haunch of Venison) owner François Pinault, an early fan, bought the virtuoso two-part canvas Nickelodeon (2008) for approximately €60,000. In October 2016, the auction house sold Nickelodeon for an artist-record £7.1m (est. £1m-£1.5m), a price rise of 16,000%, triggering headlines for Ghenie and reaping a big payday for Pinault. As his commercial buzz was building, Ghenie was also expanding his institutional CV, including the solo exhibition Pie-Fights and Pathos at the Contemporary Art Museum, Denver, in 2012-13, at the CAC Malaga in 2014-15 and the 56th Venice Biennale in 2015, where his Darwin’s Room was presented in the Romanian Pavilion. Sources say a “major” museum show is soon to be announced. The flurry of activity might have seemed organic, but “there was a lot of teamwork involved”, Nicodim says. “It didn’t just happen.” He is referring in part to his own efforts and those of Judin and others, such as Rodica Seward, the Romanian-born owner and chief executive of the Paris auction house Tajan, in promoting Ghenie well before mega-galleries, such as Pace and Thaddaeus Ropac, entered the picture, even bringing Ghenie to their attention. Seward also arranged the Centre Pompidou’s early acquisition of Ghenie’s Pie Fight Interior II. Pace took Ghenie on in 2011 and Ropac in 2015. 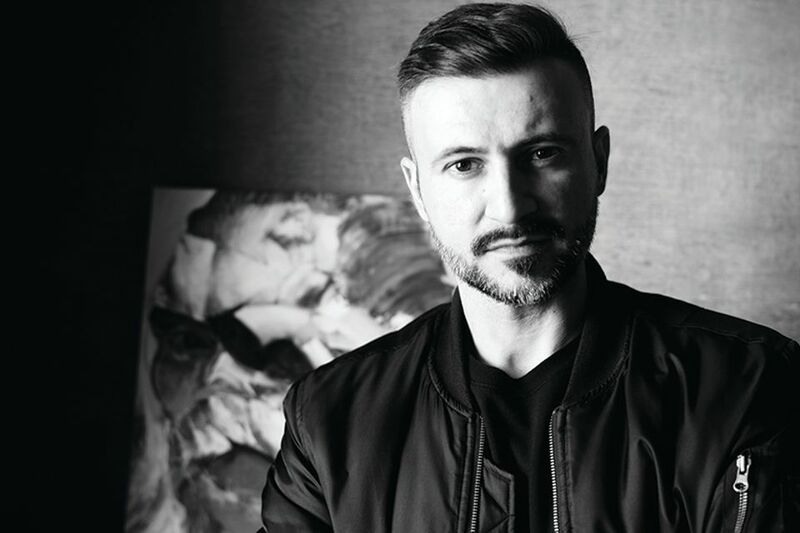 Remarkably, however, Ghenie has remained loyal to his early dealers through this climb, including Galeria Plan B in Cluj, which he co-founded with Mihai Pop in 2005. Can Ghenie’s low output survive the clamour? 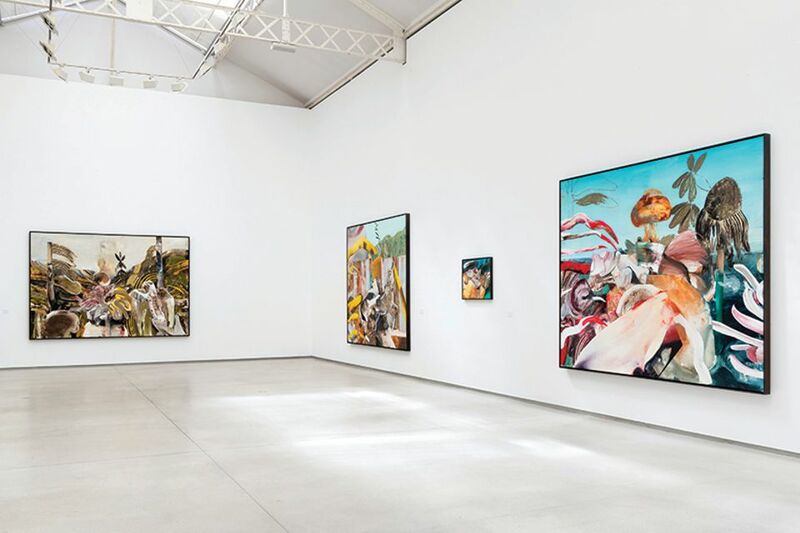 Thaddaeus Ropac is currently hosting Adrian Ghenie: Jungles in Paris (until 16 June), featuring new paintings based entirely on the works of Henri Rousseau, whom Ghenie regards as the first abstract painter. The works, which are priced from €750,000 to €1.1m for the bigger paintings, €150,000 to €200,000 for drawings, and studies for around €100,000, sold out immediately. 2001 Ghenie graduates from the Art and Design University of Cluj-Napoca. 2006 First show, at Galeria Plan B, Berlin, which Ghenie co-founded with Mihai Pop. Included in group exhibition at Haunch of Venison, Zurich. 2007 Gallery shows at Haunch of Venison, Zurich, Wohnmaschine, Berlin, and Chung King Project, Los Angeles. 2008 Gallery shows at Tim Van Laere Gallery, Antwerp, Galeria Plan B, Berlin, and Galerie Judin, Berlin. 2009 First museum exhibition, at the National Museum of Contemporary Art, Bucharest; shows at Tim Van Laere Gallery, Antwerp, and Haunch of Venison, London. François Pinault acquires Nickelodeon (2008). 2010 Exhibition at Stedelijk Museum voor Actuele Kunst in Ghent and gallery shows with Galerie Judin, Berlin, and Mihai Nicodim, Los Angeles. 2011 Shows at Tim Van Laere Gallery, Antwerp, and Haunch of Venison, London. First appearance at auction, Phillips New York. Swimming Pool (2006) sells for $22,500. 2012 Exhibition at Museum of Contemporary Art, Denver. 2013 First show at Pace Gallery, New York. First appearance in an evening auction: Dr. Mengele 2 (2011) sells for £121,250 at Sotheby’s London. 2014 Exhibition at Centro de Arte Contemporáneo de Málaga. Gallery shows at Tim Van Laere Gallery, Galerie Judin and Pace Gallery London. The Fake Rothko (2010) cracks the £1m mark at Sotheby’s London, making £1.4m. 2015 Exhibition at the MAC, Belfast; gallery shows at Mihai Nicodim, Los Angeles, and Galerie Thaddaeus Ropac, Paris; presented at La Biennale di Venezia in Romanian Pavilion. 2016 Nickelodeon (2008), owned by Pinault, sells for a record £7.1m at Christie’s London. 2017 Gallery show at Pace Gallery, New York. 2018 Gallery show at Galerie Thaddaeus Ropac, Paris.